There's a reason you don't cut the grass in your flip flops, or show up at the beach in blue jeans. It's important to dress properly for every task. It's especially important when that task is "going to work," because that's when your safety is most important. Thes ... (see full details) (see specifications) #RBKRB8694. There's a reason you don't cut the grass in your flip flops, or show up at the beach in blue jeans. It's important to dress properly for every task. It's especially important when that task is "going to work," because that's when your safety is most important. These Reebok Men's Tan RB8694 Rapid Response EH Side Zip Composite Toe Military Boots give you all the safety features you need, and take care of everything else that's most important to your feet. The uppers on these premium shoes are manufactured with a combination of tough full-grain leather and 1200 denier nylon. The abrasion-resistant panels create cooling comfort, releasing heat so your feet can breathe naturally. Flexible, durable full-grain creates the tough, supportive framework that keeps you safe and protected. Side zippers and non-metallic lacing hardware keeps your feet firmly inside these Reebok military boots. The hardware isn't metal, and it won't rust or corrode. FOOTFORCE comfort insoles give your feet arch support and heel stabilization to prevent fatigue and sore, strained muscles. They're removable, so you can take them right out of these men's duty boots and clean them any time. Non-metallic shanks and dual-density ball and heel cushioning built into these composite toe tactical boots keep your arches lifted and well-supported. Your entire foot will be cushioned to soften every step. Shock eliminator technology absorbs impact for even more comfortable steps. The non-marking outsoles on this footwear is crafted in a dual-density design to give you two supportive, cushioning layers. They're slip-resistant to keep all your steps safer. Speaking of safer, ASTM F2413-05-rated composite safety toes complete the design. They also absorb impact and compression, and won't conduct heat or electricity like steel toe boots will. Reebok Men's Tan RB8694 Rapid Response EH Side Zip Composite Toe Boots are completely non-metallic, 100% security-friendly and 100% ready to work. For your own pair of these Reebok military boots, order today! If you liked the C8694, you will love the RB8694. 36 out of 43 people found this product review helpful. I HAVE PURCHASED SAFTY SHOS FOR THE LAST 30 YEAR AND HAVE TRIED MANY DIFFERENT BRANDS AND STYLES. THIS IS THE SECOND PAIR OF CONVERSE SAFTY BOOTS I HAVE OWNED . . . HANDS DOWN THE BEST MOST COMFORTABLE SAFTY SHOE I HAVE EVER OWNED, I WOULD GIVE THEM 6 STARS IF I COULD, BECAUSE THE LOOK COOL AS WELL. I WILL BUY THEM AGAIN. 21 out of 22 people found this product review helpful. positive: Very light weight, aggressive tread pattern, comfortable with quick break in. Composite toe doesn't set off metal detectors at secure sites. Negative: The side zipper doesn't open far enough to put them on without unlacing, and the eyelets are holes instead of speed laces (hooks), so it slows down putting them on/off. I have had the reebok boots for about a month and the toe on the left foot is coming apart already I am disappointed. I had expected that they would last at least six months or more like my converse zip up's did in Afghanistan...those were discontinued so I settled for reebok and it's a let down. Decent boot. Good looking. Well Made. These boots put pressure on the outside of my big toes. By the end of the day the pain is too much. I wore them for a week and then went back to my old boots. Never again. Leslie rocks! I have never in my life has better service then I did with my order today. Leslie was very friendly! She went out of her way to make sure that I got what I needed, which isn't easy. Not only did she make sure I got what I needed she also shipped it out and sent me my tracking numbers right away. Thank You for having such wonderful employees that really make your company shine! 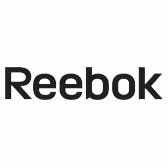 Reebok Boots: Men's Tan RB8694 Rapid Response EH Composite Toe Military Boots is being added to your cart.